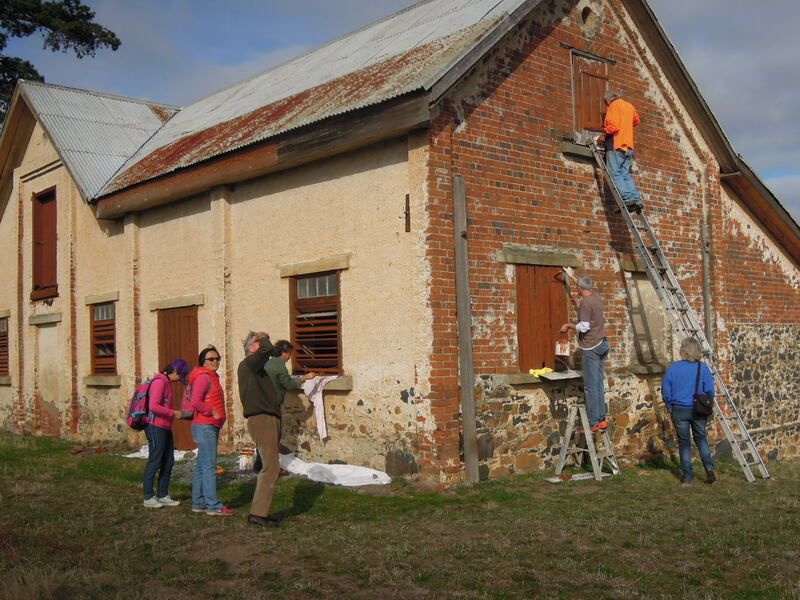 The fourth ‘Longford Academy’ (LA4) held at Woolmers and Brickendon Estates in northern Tasmania from 6-10 May 2013 concluded with very positive outcomes. 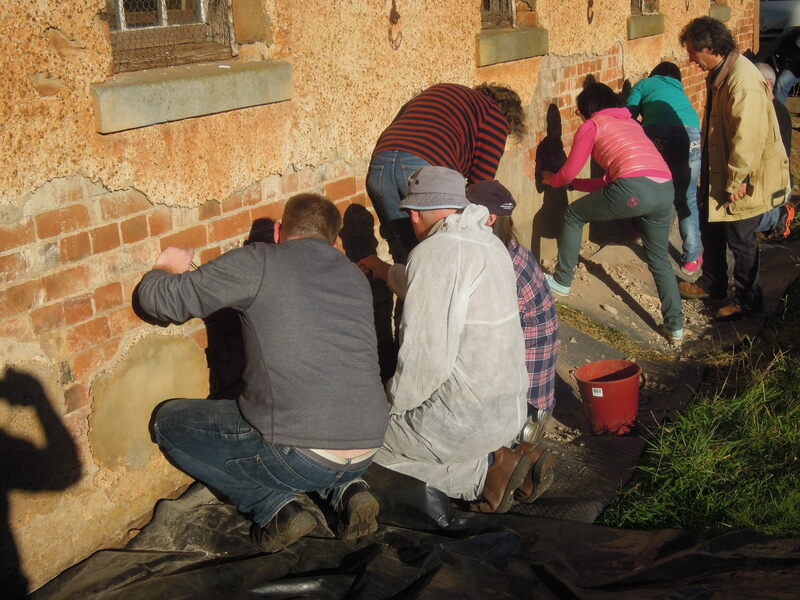 Twenty participants from four Australian states and two from Macau participated in the five-day program and obtained advanced knowledge in the practical application of mortar mixing, re-pointing and conservation coatings. 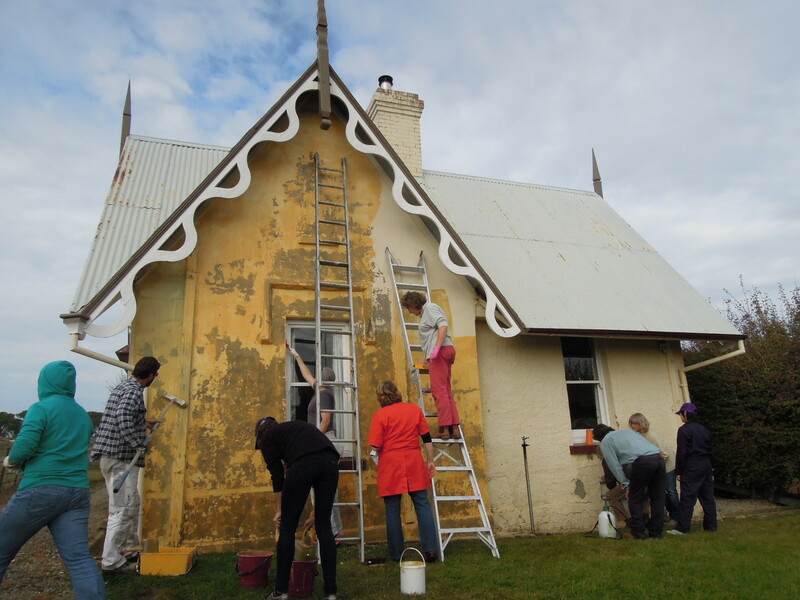 In the process, they also achieved a great deal for the two World Heritage listed properties with the assistance of perfect weather conditions, excellent teamwork and great enthusiasm. Proposals prepared at previous academies for the stabilisation and repair of two fragile wooden structures were also reviewed and discussed. While engaging in very practical activities, participants also engaged in professional conversations with experienced conservation practitioners, thus providing integrated practical and theory learning experiences. A more detailed report can be downloaded here. The fourth Longford Academy achieved outstanding outcomes due to the happy coincidence of fine weather and excellent collaboration between the participants and presenters. The material support provided by Westox, Let’s Clean and Porter’s was critical to the success. As the coordinator of LA4, I wish to thank all participants, and to extend special thanks to our hosts at Woolmers and Brickendon Estates and our sponsors (Westox, Porter’s and Let’s Clean) for their generosity in providing essential materials and support. It is a measure of the value of the Longford Academy that the participants return 2, 3 and 4 times and that all have left after giving an undertaking to return again next year. 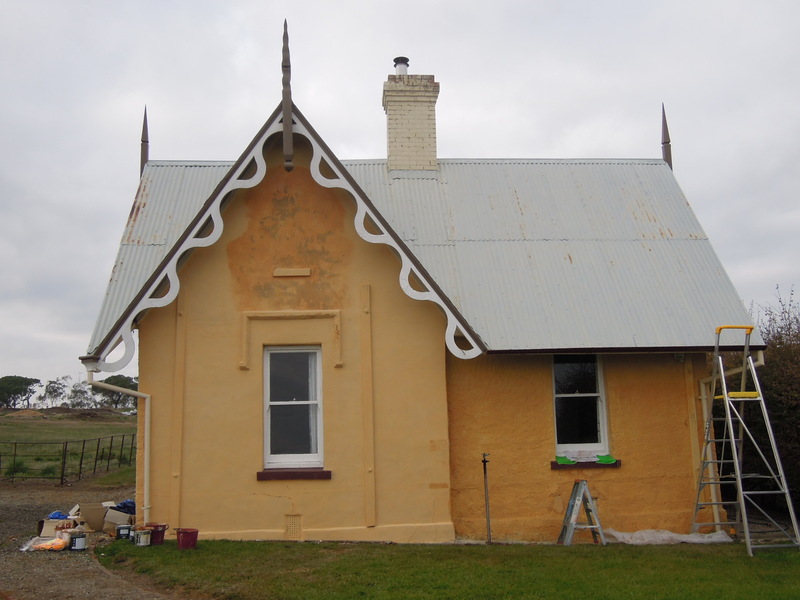 This entry was posted in Events and tagged conservation, heritage skills, heritage training, LA4, Longford Academy. Bookmark the permalink.